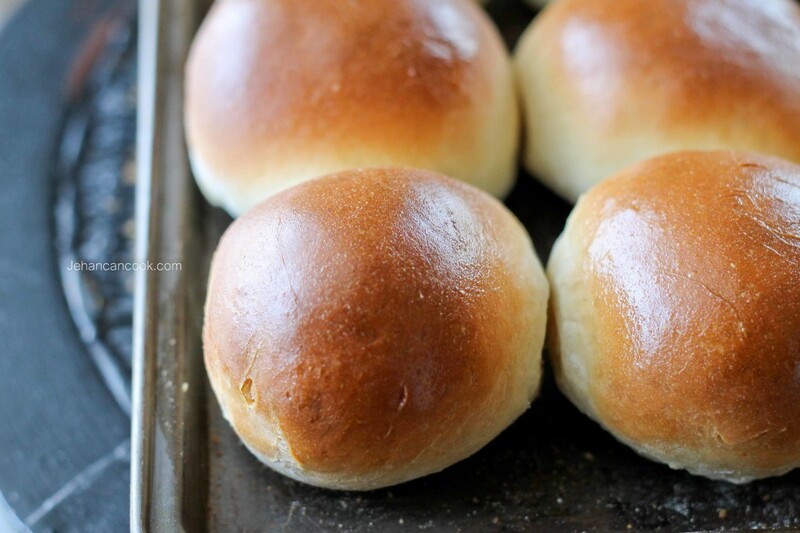 The recipe for Tennis Rolls seems to be the best kept secret. Not even What’s Cooking In Guyana cookbook has a recipe, and no one seems to know what gives it it’s unique flavor. Luckily I found the key to Tennis Rolls’ flavor on Tastes Like Home, the blog of Guyanese author Cynthia Nelson. Thanks Cynthia! I must admit at first I was a bit skeptical, but once I mixed up the dough I was greeted with the undeniable scent. Let me just say that there’s nothing like the smell of bread baking in the oven, it was simply intoxication. I had to have one…ok two straight out the oven with butter and the flavor was spot on! I didn’t add too much of the zest and essence because I didn’t want it to overpower the bread. You can adjust as you feel fit, but I think that this is the perfect amount. So give it a try and let me know what you think! Do I have a winner? 3.1.09The recipe for Tennis Rolls seems to be the best kept secret. Not even What’s Cooking In Guyana cookbook has a recipe, and no one seems to know what gives it it’s unique flavor. Luckily I found the key to Tennis Rolls flavor on Tastes Like Home, the blog of Guyanese author Cynthia Nelson. Thanks Cynthia! I must admit at first I was a bit skeptical, but once I mixed up the dough I was greeted with the undeniable scent. Let me just say that there’s nothing like the smell of bread baking in the oven, it was simply intoxication. I had to have one…ok two straight out the oven with butter and the flavor was spot on! In a large bowl place warm water and sugar then sprinkle yeast on to and let sit for 10 minutes allow the yeast to proof. Add milk, flour, melted butter, lemon zest, vanilla and salt in the mixture with the yeast and mix to form a dough. Knead for 15 minutes. A stand up mixer with the dough hook attachment would be an excellent alternative to hand kneading the dough. Cover bowl with a cloth, set in a warm place and allow to rise for 45 minutes or until the dough has doubled. Remove the dough from the bowl then place on a lightly floured surface. Knead for 2 minutes to form a smooth ball, this shouldn’t take long. Next cut the dough into 12 even pieces then roll each piece into even balls. Place in preheated oven and bake for 20 minutes. Remove from oven and brush with melted butter. These look amazing! I make buns that are similar to this, but with twice the amount of flour to the yeast and no zest. I’m very curious to try this one. Thanks for the recipe! 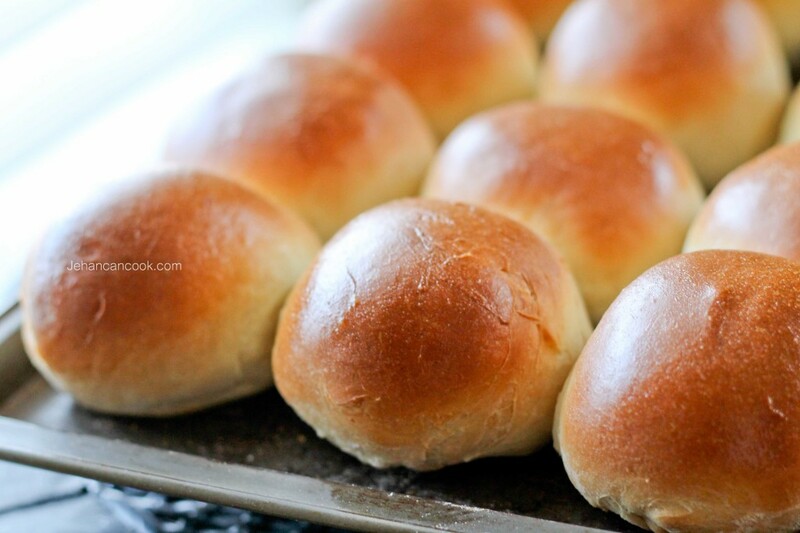 Those tennis rolls look absolutely fantastic!!! Thanks Joy, do let me know how it comes out. Jehan these look amazing, I will definitely try. One question, do I have to proof the yeast? I am always afraid to do that so I just use the quick rise yeast and knead it right into the dough.. Let me know, and keep up the good work. Thanks Sunita, you do have to proof the yeast by sprinkling it over warm water/sugar mixture and leaving it for 10 minutes. It’s really a simple process. I have been asking members of my family who are scattered around this wide world if they know of the recipe but no success was to be had until now my patience has been rewarded So on Saturday (which is my baking day) I will give your tried and tested recipe a try and post the results. 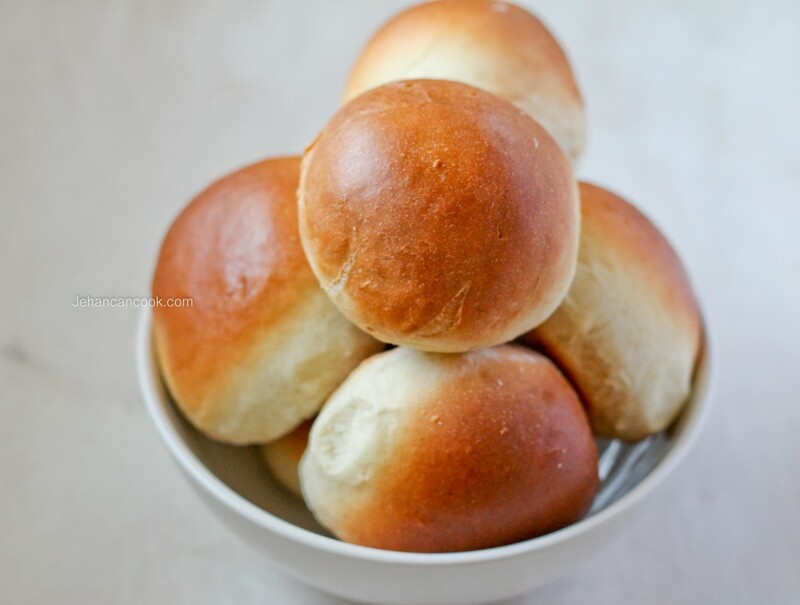 These rolls look heavenly! What sort of substitutes would you recommend for milk, though? Those look really yummy, you’re such a great cook! Tess, u can use just water in place of the milk and it will still be very tasty. Hi Denise, I’m glad that I can be of help. Yum! I’ve been putting off baking homemade rolls! No matter the amount of times I’ve used yeast it’s till a little intimidating! These look fantastic by the way! These looks so yummy, cant wait to try it. One question though, is it 1/4cup salted or unsalted butter? I’d think unsalted because you also added 1 tbsp salt. Thx much! Cynthia thanks for the tip!! Tennis rolls can be very addictive! Cathy you absolutely can. You can also do half whole wheat and half regular flour and it wouldn’t affect the taste too much. thank you for sharing all there lovely recipes with us i will enjoy trying them . Thanks s million for this recepie Jehan. I tried it with lemon essence some years ago and was not the flavor and taste of Guyana tennis rolls. I just took your version out of the oven and it’s just WOW I did it….. Thank you again. Pansy you’re welcome, I’m glad you enjoyed it. 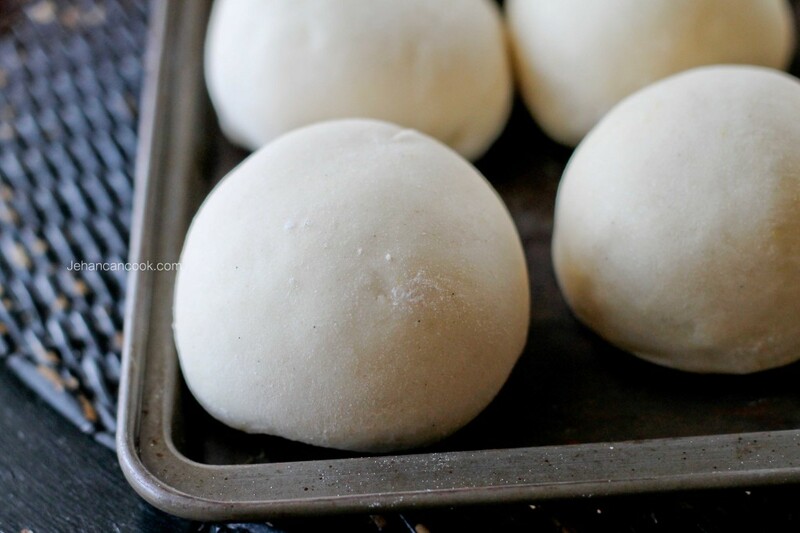 How many tennis rolls does this recipe yield? Halima, it makes 12 tennis rolls. Hi if i use instant yeast ….mix directly into flour? Angelia, I’ve never used instant yeast, so I would suggest following the directions on the package on how to use it. Jehan, I just made these and it did not come out quite as big as yours, but the taste is definitely there. Will try another time and hopefully my second effort will be better. Do you eggs for this recipe? Barb the recipe is as written so there are no eggs. Thanks for sharing your recipes. the vanilla is it essence or extract? Latisha, you’re welcome. Sorry for not being specific, it’s vanilla extract. Jehan, just made this and they turned out awesome, love your recipes. Thanx for making the time for people like me who love to bake. God bless to you and yours. Hi Jehan, can I skip the lemon zest in this tennis roll recipe? And also i don’t have vanilla extract can I substitute with vanilla powder? Thanks. Reshma, I don’t think you should, it’s a key ingredient in Tennis Rolls signature flavor. I think it’s best to use the extract as it has a more intense flavor. Hello, I tried the recipe and it came out really good but I had one problem. They weren’t as fluffy and light as they usually are when I buy them. How can I fix this next time? Lalita, it could probably be in the rising. If the environment is too cold it wouldn’t rise properly. Make sure to rise in a warm place, I hope that helps. Hi, just wanted to let you know that i made these and they came out great! Thank you, my husband is gt and I’m trini so he’s always buying tennis rolls. They said mine came out good. I am always on ur website and love it… thank you again for all of these wonderful recipes btw my bake (floats) comes out great thanks to you. First time seeing this recipe. Johan, can I tell you? I nailed it. Absolutely sumptuous. Man, I could not wait to try them. Making a second batch on the weekend. Thank you so much. I tried this recipe and it came out amazing! Thank you for posting this recipe! Most of all is that my parents and in laws that grew up in Guyana enjoying the classic tennis roll and cheese with a glass of cream soda or maury loved it too! They said it taste just like home. I am currently making your Tennis Rolls and my house smells like my Grandmothers home! I cannot wait to eat them!! I have made your platt bread and pinetarts and they were awesome! Great job, well done!! Would love to see a video for this recipe! Yum! Eventually I will make one. I followed your roti recipe and for the first time in my life my roti came out the best…thanks to you. I will be trying the tennis rolls next.